Published February 17, 2014 at 3264 × 2448 in Pre Finishing – Panel Doors. Pre Finishing of Panel Doors on site. 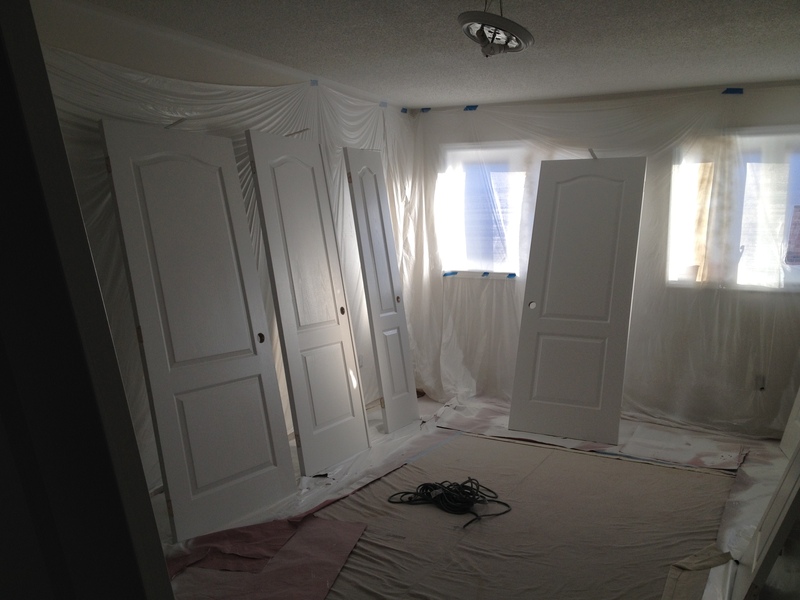 The entire bedroom was converted to a spray booth.